Farmers wanting to plant forage shrubs and take advantage of the wet growing season may have missed their chance. Demand for forage shrubs including Old Man, River and Anemeka Salt Bush, Rhagodia and Blue Bush has outstripped supply this year. 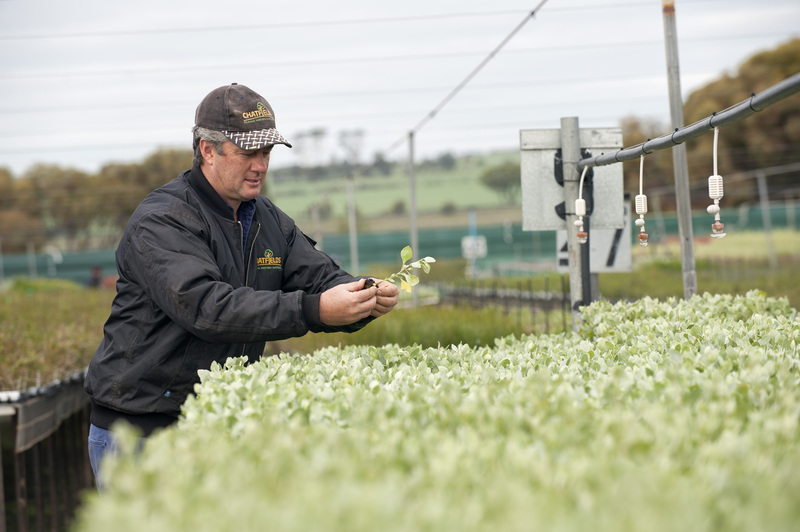 Chatfield’s Tree Nursery at Tammin has grown 1.8 million seedlings, with roughly 40 per cent forage shrubs, primarily for livestock grazing. Owner Dustin McCreery said if landholders hadn’t already ordered, they would struggle to find seedlings. “The wet growing season combined with optimism amongst farmers has prompted more orders than normal,” Dustin McCreery said. “The demand for forage shrubs has also grown out of greater awareness and knowledge of the species. Natural resource management group Wheatbelt NRM has been running a support program encouraging farmers to grow forage shrubs for the past two years. The group’s project manager for sustainable agriculture Jo Wheeler said the increase in demand was a result of a new understanding of how to manage these systems to increase farm profitability. She said the development of new varieties with high vigour and protein values had also helped. “Farmers are realising the economic and livestock health benefits from grazing sheep and cattle on forage shrubs,” Jo Wheeler said. To help the growing number of landholders investing in forage shrubs, Wheatbelt NRM has begun a mentoring program to help better manage these systems. Chatfield’s Tree Nursery’s Dustin McCreery was one of four mentors in the Wheatbelt. “In the past these shrubs have been over grazed and in some cases under grazed and they get too big and become out of reach of sheep,” Dustin McCreery said. Wheatbelt NRM is now running its Perennials for Profit program for next year, with funding through the Australian Government’s National Landcare Programme. The next round of funding for Perennials for Profit runs from Monday 25 July 2016 to Monday 22 August 2016.